OLED displays are the next big thing for smartphones, and Samsung is reportedly readying a massive plant to meet demand. The company behind the Samsung Galaxy S8 plans to build a huge factory devoted to producing OLED screens, according to ETNews. Though the final investment plans won't be confirmed until after a board of directors meeting next month, the proposed plant would be the largest OLED facility in the world, cementing Samsung as the leading supplier of the high-end displays. As other companies like LG are reportedly investing heavily in OLED panels, a race is shaping up to see who emerges as the top source. Coincidentally, this is all happening as reports point to Apple needing ample OLED screens for the iPhone 8. 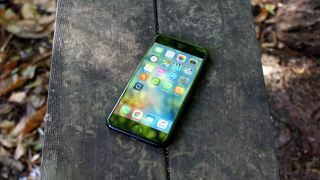 Samsung has long been rumored as the front runner to be Apple's OLED display supplier, and it would seem the expanded production plans are a sign Samsung anticipates filling some major orders in the coming years. And it's not just the iPhone 8 - Apple has already reportedly inked a deal with Samsung to supply OLED for all versions of the 2018 iPhone. Apple is rumored to continue using OLED into 2019. While we're connecting the dots between Samsung's new factory and the iPhone 8, we hope this news means more handsets - plus tablets, TVs and other devices - will gain easier access to super-sharp OLED technology.